In this workout you move from each of five stations after a minute.The clock does not reset or stop between exercises. This is a five-minute round from which a one-minute break is allowed before repeating. On call of “rotate”, the athletes must move to next station immediately for best score. One point is given for each rep, except on the Aerodyne where each calorie is one point. Keep a running total from one station to the next. Mens Kettlebell Weight is 53lb. and women’s is 35lb. Hurdle height is 24 inches for men and 20 for women. Wall-ball weight is 20lb. for men and 14lb. for women. Bring your “A Game” today – it’s gonna be a good one! Can anyone Rx’ today’s workout and score over 300 total points? In the weeks following the tragic school shooting in Marysville, WA., our friends Cody Looney and Noah Pester continue to bring faith, hope and leadership to their CrossFit Affiliate gyms and communities. 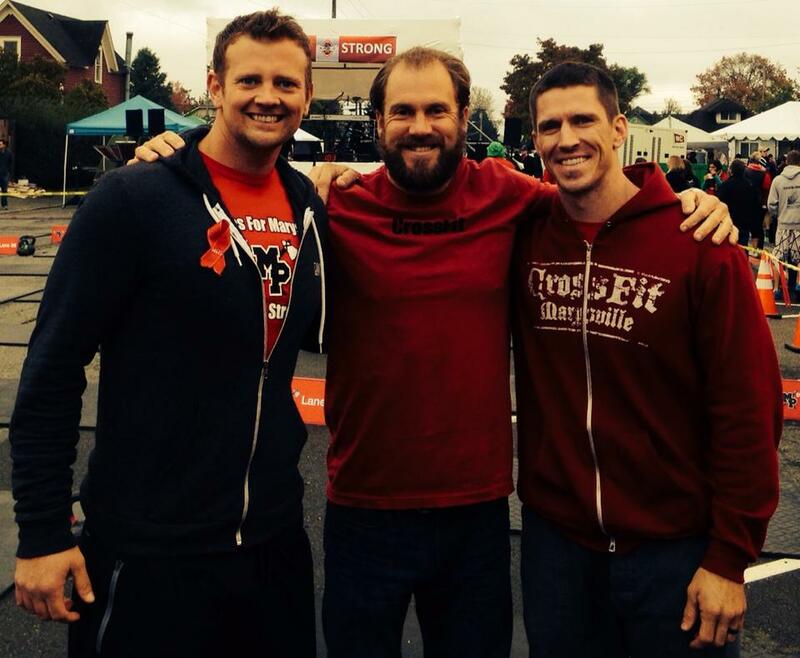 Cody and Noah represent the best character values in the CrossFit community.